Running a business in a rural area or even locating in a business park outside the city limits presents a challenge that urban companies seldom have to face. That is, how to get adequate broadband service at an affordable price. Years ago, you could run a decent size business with a few phone lines and electric power service. Now you can hardly serve even local customers without broadband in addition to or combined with your telephone service. The performance you must have varies with the size and nature of your operation. Small retail and service businesses have it easiest. A traditional T1 line at 1.5 Mbps can get you by. Prices have dropped dramatically, so you may only be looking at a few hundred dollars a month even in the unwired boonies. That’s because T1 uses the same twisted pair wiring that delivers analog and ISDN PRI PBX telephone service. T1’s 1.5 Mbps may seem pretty pokey these days, but it’s enough to handle email, credit card verification, online ordering and operation of simple web sites on remote servers. You can often double or triple this bandwidth, at double or triple the price, by bonding multiple T1 lines together. A competing service called Ethernet over Copper uses the same infrastructure but a more advanced technology to deliver 10 or 20 Mbps on the same telco lines. It’s less expensive than T1, but doesn’t deliver the higher bandwidths over long distances. If you are on the edge of a metro area, this can be a good solution. 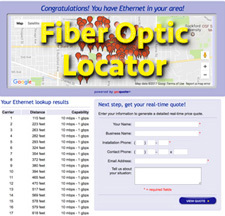 The gold standard of broadband is now fiber optic service. Fiber has long been available in metro areas, but rarely out in the countryside. That’s changing fast. The killer app is 5G cellular wireless. High bandwidths are needed for 5G and even 4G LTE. That means every tower must get served by fiber or point to point wireless. With all that fiber being trenched and lit, the chances of a fiber optic connection at a reasonable price has gone up dramatically. DOCSIS Cable Broadband has traditionally stopped at the city limits. However, these lines are being strung farther and farther from town to serve new subdivisions and industrial parks. If the cable runs by your property, chances are excellent that the cable company can provide you with a drop at little or no construction cost. Cable has also gotten a new lease on life with DOCSIS 3.0 and 3.1 modems. It’s fairly easy and inexpensive to get 100 Mbps downloads and 1 Gbps service is becoming more and more common. Some areas still aren’t being served. That’s especially true of small farming communities, farmsteads and ranches and any business located on historically rural property. Your option in this case is to go wireless. If you have a small home-based business you might even get by with cellular broadband. You can buy a wireless access point with this service installed or use your phone as a Wi-Fi hotspot to feed your computer and tablets. The main hitch with this approach is strict data limits of 20 GB or so per month. You have to buy more capacity or have your service slowed or cut off if you exceed your carrier’s limits. Point to Point wireless broadband provided by WISPs (Wireless Internet Service Providers) offer higher data limits and higher bandwidths than cellular. There are no national providers. You have to be in the footprint of a local or regional provider to get service. Business satellite can now give you the higher bandwidths you desire, even up to 100 Mbps with decent data packages. All you need is power and an open view of the Southern sky. Prices are similar to T1, cable and wireless. The remaining limitation is the half-second or more of latency as the signal goes up to the bird and back down. If what you are doing is OK with that delay, it is an option that works in the remotest of locations. Don’t assume that just because your area wasn’t built out for broadband years ago that it still isn’t. Progress is happening rapidly in this field, often helped by federal programs to expand rural broadband. 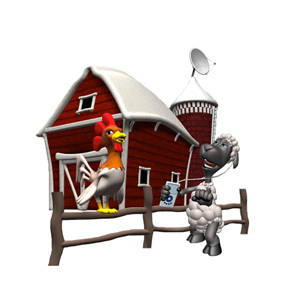 Check your rural broadband options now and see what may have become available recently.